It feels like a while since I've sat down and written a good old beauty post - I know, I know, I only published my Charlotte Tilbury lipstick review on Thursday. But in the busy blogging world where we can schedule weeks, months, even years in advance, I can't even remember when I even wrote it. Of course it's fun to mix up the content here every so often but it's also nice to go back to my roots with a classic beauty post. And I went to Space NK on Sunday and sometimes when I purchase something, I justify it to myself by saying I can get a blog post out of it which helps get rid of any buyer's guilt. Easy. The NARS Tinted Moisturiser has been on my shopping list for an age - because wearing foundation everyday does just seem a little excessive and wasteful. For days when I'm not doing much but still want to give my skin a bit of coverage and dewiness, this is where this NARS dreamboat of a product comes in. If you're a long-term reader of LydiaLulu then you'll know that I'm a huuuge fan of the latest NARS foundation offering, the All Day Weightless Luminous Foundation. I'll even go as far to say that it's better than Sheer Glow, I know - controversial. It is, in every sense, my perfect foundation - the only product I've ever found that really works for me. But like I said, not necessary on an everyday basis. So when I decided that there was something missing in my collection of foundations/concealers/BB Creams, NARS was always going to be my first port of call. Oh, and did I mention that it has a cult beauty following within the blogging community? Yeah, that also helped. Like I mentioned in my 'The Beachy Holiday Post', I also unearthed a small tester that I was given by the lovely Space NK ladies from before I went to uni. I know, what have I been doing with my life? Next time it'll be used up immediately. Anyway, I managed to make this tiny tester last the entirety of my Cornwall trip (a little really does go a long way) and it went straight to the top of my payday wishlist. It's hard to describe just how wondrous this tinted moisturiser, all I know is that my skin loves it - it has the silkiest, creamiest finish which is hydrating without being overly so. Ideal for us oily-skinned girls. As I'm jetting off to New York on Saturday (eek can't quite believe it! ), I thought this NARS Tinted Moisturiser would be a good investment purchase in tackling the 30 degree heat with its SPF Factor 30. Because a full face of foundation and the height of New York Summer is not a good combination. I'll report back to you on this one - I'm thinking I'll write a post on my 'New York Make-up' looks when I get home, depending on how experimental I am naturally. Either way, I'll report back to you on how this product fares in the heat. 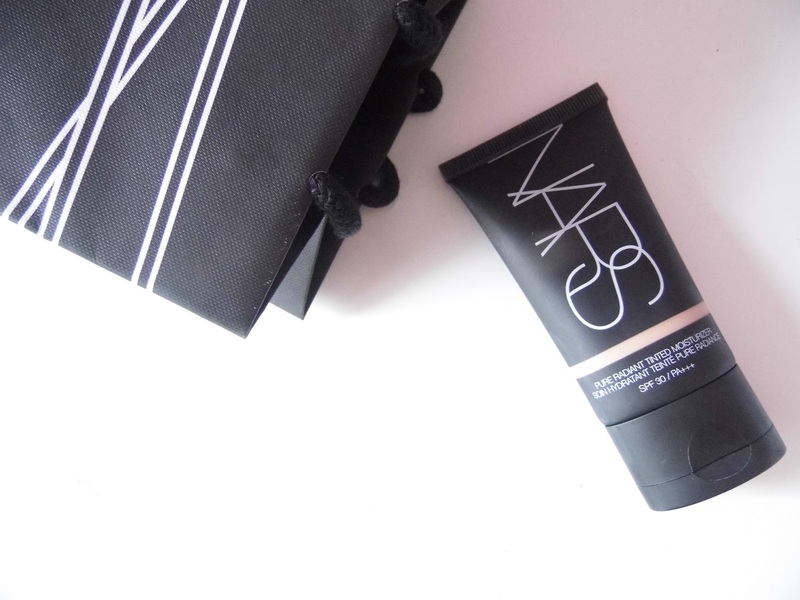 Again at £29, this moisturiser has definitely got the NARS price-point. But I tend to splurge a little on bases and mix them with drugstore products , so I would say it's worth it. Plus, a tiny amount does go such a long way that I can see this bottle lasting me a while. 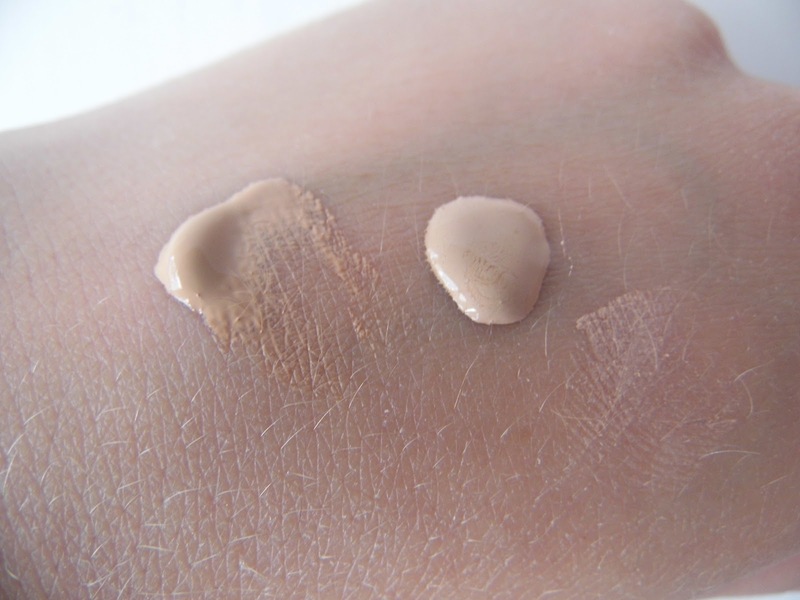 I've found my perfect match in the shade 'Groenland' (I'm always 'Mont Blanc' in other NARS foundations) - with a little bit of powder in tow and some emergency blotting pads, I can't see myself going wrong. Totally worth the wait, no?